You can download the sample Marketing essay on Market Analysis report on Facebook with the following question for free at the end of this page. 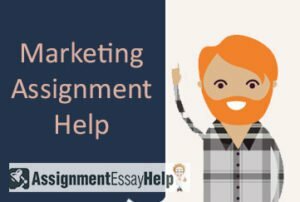 For further assistance in Marketing Assignment help, please check our offerings in Marketing assignment solutions. Our subject-matter experts provide online assignment help to Marketing students from across the world and deliver plagiarism free solution with free Turnitin report with every solution. Facebook Inc is a global online social network that has about one billion member accounts. However the organisation is less than 10 years old. Despite intense media excitement when Facebook listed as a public company in May 2012, the share price has bobbed around quite a bit since. Many business analysts are beginning to question the company’s long-term viability because it is difficult to discern a coherent business strategy. 1. What marketing strategy or strategies has Facebook adopted since it was created? Answer this question by applying one or more of the theoretical approaches discussed in the course. 2. What marketing options can you describe for Facebook if it wishes to remain a successful organisation throughout the next decade? Answer this question based on the circumstances that exist in 2014 and your best forecasts of relevant future industry factors.Page 2 of 6 These are wide-ranging questions and you should undertake extensive independent research into Facebook and its industry. You should explore different aspects of these issues and incorporate them into your report. This is a practical assessment of a real company, but you need to show an understanding of theory and research in your evaluation and suggestions. The Paper begins with an introduction into the topic for investigation, after postulating it; the paper provides a background of Facebook as a company and as a business. This paper undertakes an in-depth analysis of the Marketing strategies adopted by Facebook over the years, and to understand it, the researcher conducted an STP (segmenting, targeting, and positioning) analysis. The paper also goes on to briefly explain the marketing mix (4 p’s) to get an understanding of Face book’s marketing strategy. Finally, the paper ends with 5 marketing suggestions for Facebook that would help the company to thrive and survive like it is doing currently in the long term. The paper concludes with the finding that, though there are certain hiccups and problems here and there, there is no reason to believe that Facebook is here to stay for a very long time to come if it takes few steps to mitigate the current challenges and future threats that it can face. When history will look back on the beginnings of the 21st century, there shall clearly be two distinctions made, i.e. ; a pre-Facebook world and post-Facebook world. Facebook a website started in 2004, by Mark Zukerberg, along with his Harvard roommates Dustin Moskovitz, Chris Huges, Andrew McCollum and Eduardo Saverin (Carlson, 2010) was initially meant to be a Harvard-exclusive portal, for students communication within the campus, but in the years to come would end up changing the way people communicate with each other. As objective students of Marketing, it would be foolish on our part to assume the mammoth success of Facebook, as a mere accident or sheer luck. There are clear marketing lessons to be learned from the success of Facebook as a product, its rough journey in Wall Street and its future prospect as a product and as a business. This paper aims to conduct a thorough marketing analysis of the current strategies adopted by Facebook, take a stock of the problems faced by the company currently and leave with a set of marketing suggestions that would help the company to sustain itself as a business in the long term. Headquartered in Menlo Park, California, Facebook, as discussed above, is a social media website started in the year 2004, by Mark Zukerberg and his four college roommates (Carlson, 2010). From a 5 man organization intended to serve the Harvard students, today Facebook has 6337 employees (as of December 2013), has offices across the world and has more than 1.2 billion active monthly users (Facebook, 2014).